Bid farewell to the short, gray days of winter and welcome the blue-sky days of spring with a family spring break in Orange Beach. 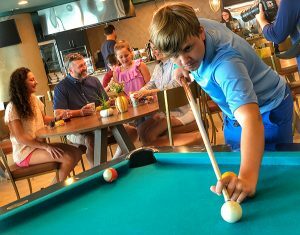 We know it can be hard to break away from work and everyday life, but this spring is the perfect time to trade work for play and soak up family time while you create new memories at Turquoise Place. With that in mind, read on to discover our favorite Orange Beach, AL spring break activities. Spring break is a time to rest, relax and reconnect, not to run around hunting for things to keep the kids entertained. The activities team at Turquoise Place has a calendar filled with fun crafts, activities and family games for Spectrum Resorts guests. Bonus Tip: Crafts and activities are complimentary for Spectrum Resorts guests. Just flash your SpectrumBand. Guests booking through other rental management companies pay a nominal fee, typically $5 to $10 depending on the craft. Create a spring break vacation without the hassle and skip packing breakfast items for weekday stays. The Spectrum Club Lounge (re-opening March 9) offers a complimentary continental breakfast packed with muffins, bagels, fresh fruit, cereal, breakfast meats, and even a Belgium waffle maker. The kids will love making their own mini waffles! Dishes? It’s all taken care of so you can spend your time reconnecting with your family instead of washing plates and glasses. Breakfast is served Monday to Friday, 7 to 10 a.m. Bonus Tip: A special area is designated for toddlers and smaller children with curated activities from 7 to 10 a.m., daily. The Lounge is exclusive for Spectrum Resorts guests. Use your SpectrumBand for entry. Spring break is all about fun in the sun and creating happy memories. Make a splash in any of five saltwater pools, plus the lazy river. At Turquoise Place, you’ll find a heated indoor pool in both towers. There are three outdoor pools, including a kiddie pool. The lazy river is located on the fourth floor of the west tower. The main outdoor pool is the perfect spot for listening to live music, sipping a craft cocktail and ordering up family friendly fare at the Change of Pace Bar & Grill. When you’re ready to really relax, rent a poolside cabana. Each cabana comes equipped with outdoor patio furniture and an air-conditioned room with comfortable furniture, television, mini fridge, ice maker, blender, sink, and bathroom. Make a cabana your family’s central location to gather for family snacks, lunches, and conversation. When you just can’t make yourself pack one more thing, go ahead and leave the beach chairs at home. Remembering your camera is far more important. Instead, let the beach services crew take care of you and your family with beach chair and umbrella rentals. Then, let the memory making begin! Perdido Beach Services offers a variety of onsite watersports for the entire family. Kayaks, standup paddle boards and surfboards are available for rent right on the beach! You can also take a ride on a Hobie Cat, an experience few get to take during spring break in Orange Beach. Bonus Tip: Poolside cabanas are exclusively for Spectrum Resorts guests and availability is limited. We recommend making your cabana rental reservation prior to your arrival at Turquoise Place. 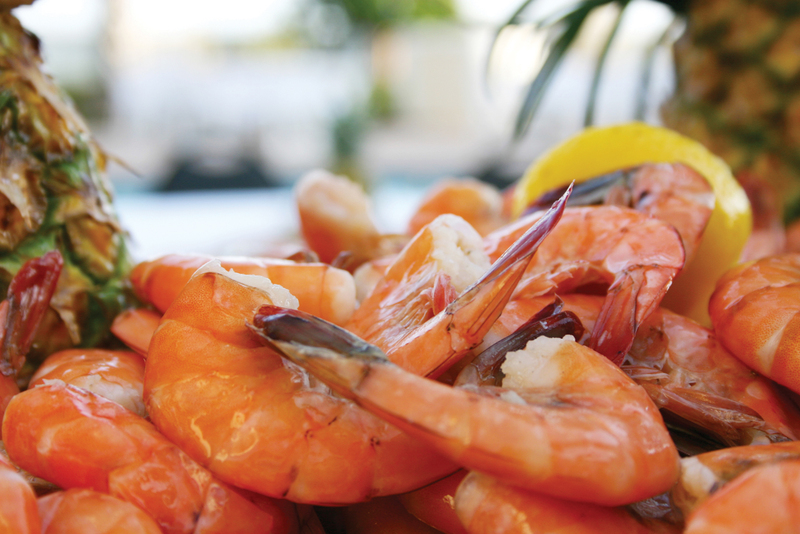 The Alabama Gulf coast is known for its delicious, fresh seafood offerings, and tons of options for even the pickiest eaters. Visit The Hangout in Gulf Shores for a wide variety of delectable bites like burgers, crab cakes, po’ boys, shrimp tacos, signature drinks, and much more! Lulu’s Gulf Shores includes tons of great options, including salads, sandwiches, bites for the kids, and allergy safe menus. Or visit Coast Restaurant & Sushi Bar at The Beach Club for fresh seafood, sushi, and amazing views of the Gulf. There’s always something going on at The Wharf in Orange Beach. From live music to boutique shopping and rides on the Ferris wheel, The Wharf is a destination spot for Orange Beach, AL spring break visitors, and locals alike. Take the family to The Wharf Marina for a dolphin tour, cruise, or a private charter to experience some of the Gulf Coast’s wildlife. Catch a movie, play putt-putt, or enjoy shopping, there’s so much to do at The Wharf! Orange Beach Waterfront Park is the total package, with a lighted kids playground with slides and swings, sheltered picnic areas with grills and restrooms, and a 400-foot fishing pier with covered pavilions and seating, all in a waterfront setting overlooking Wolf Bay. Plan a picnic and create a home-style meal while the kids play in the park, or grab your fishing gear and cast a line in Wolf Bay. This is a perfect way to enjoy the day with the family in Orange Beach. 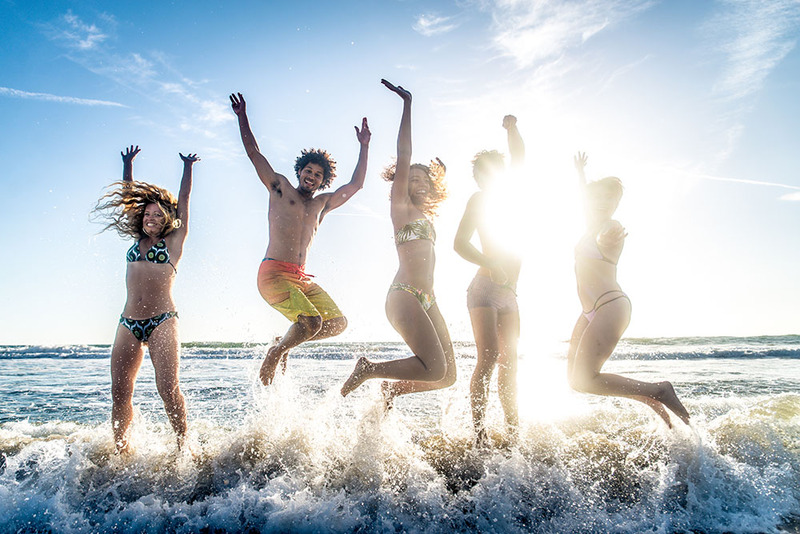 Your family deserves the best, and our team is on-site to ensure the only thing you have to think about this spring break is reconnecting with your family and creating lifelong memories. We know life is hectic, and we want you to focus on what’s most important…your family. Spectrum Resorts is here to make sure you’re the hero of your family’s vacation.